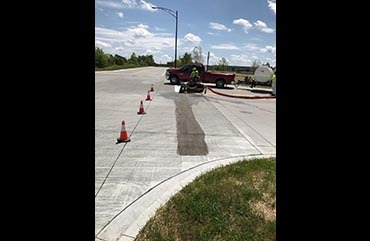 We provide full Water Blasting removal of pavement markings and striping, curing components and runway rubber. The blasting process uses high-pressured water to safely remove lines to avoid damage to surface. 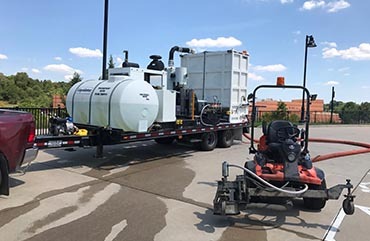 Full vacuum recovery of water and debris for a clean and environmentally-conscious worksite. Full vacuum recovery meets government guidelines.